Home » Alerts » How do the Computer Viruses get into Your Network or Devices? The below list will aid you in understanding the wrongdoings that you as a user should not perform. Read & thank Kaspersky Antivirus Support experts for the help that prevent viruses from accessing your computers. Clicking links or opening attachments from spoofed or unknown emails: –This is the most common way that the cybercriminals use to inject and spread infections like virus, worms, ransomware, trojans. Emails containing attachments and/ or links that if downloaded or clicked can infect your machine are deceived to appear legitimate. Nowadays, these deceived emails are created so well that even the professionals can fall into the trap. Ensure you go through each and every detail before opening or clicking anything. Downloading software apps & programs from suspicious/ malicious sites : – Misconception that PC viruses come from only the problematic websites is common but remember that the vulnerabilities are existing at almost every corner of the Internet. So, there is a need to be careful even if you are about to download or install the software from some trustworthy sources. 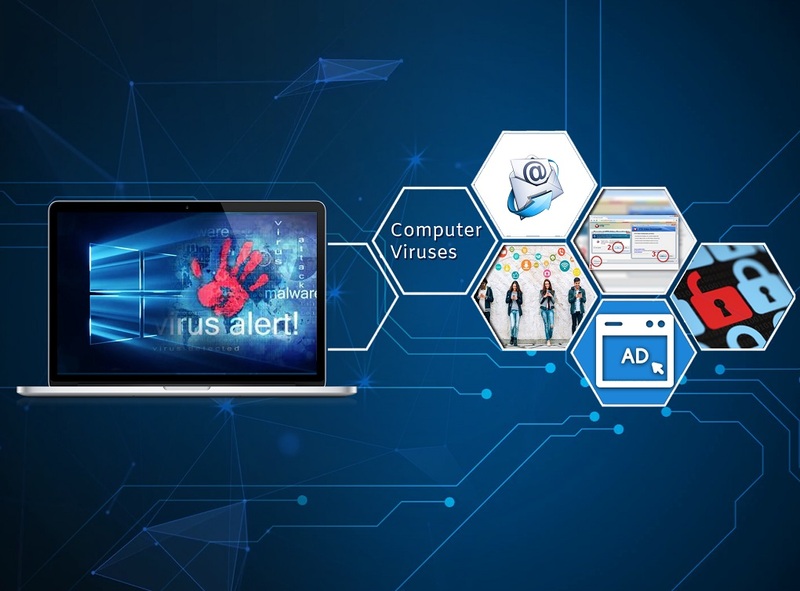 Dealing with Online Ads: – Malvertising, the second name for malevolent online ads is another most threatening way that makes your system get viruses even without leaving any traceable evidence. Being smart, the cybercriminals craft clean ads and then put them on websites that appear reliable. After waiting for some time in order to achieve credibility, the attackers inject some sort of malicious codes in the ads that if clicked/ opened make hundreds of viruses enter into your computer. Using Social Media: – Usually, opening the links, ads, pop-ups displayed on social media sites appear convenient from the people perspective. But, the reality says something else. Let’s see the example of the data breach taken place on a social media site: a virus which enters into the social network through a video have captured the passwords of many users. Accessing the details, the virus succeeded in logging into the accounts of the victims. Unpatched software: – Accessing unpatched software is another way in which you can invite virus infections to your computer system. As even the software manufacturers or vendors are unable to detect the Zero-Day vulnerabilities i.e. security holes sometimes, there is a need to be cautious from your end. Cyber-attacks that take place due to the security holes can affect all software companies even the branded Microsoft, Google, and Apple. Conclusion: However, the IT professionals keep on releasing emergency and security patches to remove the vulnerabilities that allow hackers to harm the computers. But, to ensure complete safety, you also have to participate in this battle against cybercriminals. The aforementioned information that makes you prevent the cyber-attacks can help you in being a good participant. For tips to stay secure, contact the Kaspersky Support professionals.